Have you always dreamed of owning a boutique winery in Sonoma Valley where you could play host to Paul Giamatti and others willing to fork over a jeroboam of cash for your pressings? Now might be the time to shop, if actually selling the wine isn't in your immediate plans. 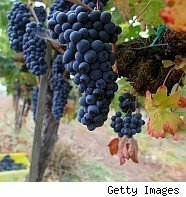 The decline in sales of high-end wines has put downward pressure on the price of California wineries. I spoke by phone with John Bergman of Bergman Euro-National, whose firm handles the sale of many of the best estates in Sonoma, Napa and Mendicino Valleys. It just listed, for example, an Alexander Valley winery for only $17.95 million. Bergman told me that winery real estate roller-coasted through the 00's, falling sharply after the dot com debacle, then recovered and "chugged nicely" through 2005-08 before the cataclysm of March, 2009. After that, he said, he might as well have stayed at his home in Hawaii for all of the interest shown by buyers. "Our largest winery buyers in the industry...just pulled in and said we're going on vacation for a while." Now, however, he has seen the first inklings of a recovery. Foreign buyers, attracted by a wine property market that Bergman feels has bottomed out, and by the cheap dollar, have come shopping. He's had inquiries from as far away as Africa, China, London, and Japan, and those who buy aren't paying anywhere near the asking price. Not everything is as sweet in this market as Chateau d'Yquem yet, though. Bergman pointed out that the "the bigger wine consumer that buys the $30-$100 bottles of wine and has one every day," pulled his belt tighter after the stock market crash. This is the price point for many of the finer California products. Although the Fine Wine 250 Index has shown a sharp uptick in the auction prices of the very best vintages, up from slightly over $125 in December of 2008 to $197.36 at the end of January of this year, Bergman says the "real magic number is not above $20 [a bottle]," and "about $7-$15 you're probably golden." Another problem potential vineyard buyers face is in financing the transaction. The appraisers, Bergman said, have become over-cautious after having been burned before, attributing a much lower value than these properties warrant. Banks are also overly conservative, to the point that a buyer might be asked to put a ludicrous 70% down before the loan will be made. Bergman believes that better times are coming for the wine industry, though. Customer confidence, he said, is everything, and he believes we're beginning to believe the worst is behind us. I'll drink to that. Perhaps a nice Sonoma Valley Chardonnay.